Steller Sea Lions along the mid-coast of British Columbia in Canada. Steller Sea Lions - Eumetopias Jubatus, British Columbia. Although the western population of Steller sea lions has shrunk in Alaska by around 80 percent in the last 20 years, there has been a steady increase in numbers of the animal off the Canadian coast of British Columbia. 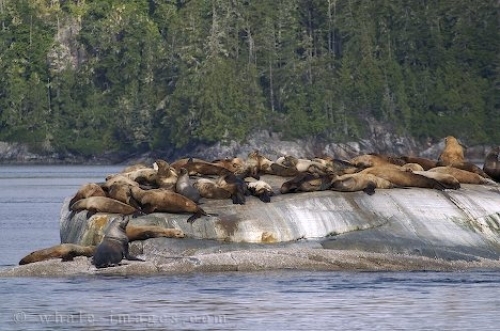 With each visit around the rookeries and haulout sites in Northern Vancouver Island, as shown in this picture, the steller sea lions stock in BC was well intact.